Do you stumble around in the bathroom at night when you don't want to wake up your significant other with the light? Well, no more! 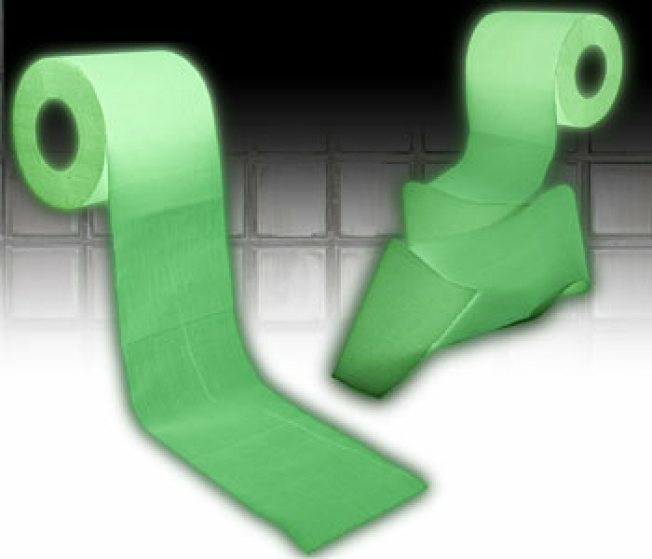 Say hello to glow-in-the-dark toilet paper. These rolls glow in the dark after being exposed to light all day, illuminating your throne with no additional light needed. Sure, it might be weird to wipe with something that's glowing under its own power, but I'm sure it's perfectly safe. What could possibly go wrong?